LivingSocial took the daily deals business offline four months ago when it opened the doors to a state-of-the art building in Washington, D.C., called 918 F Street. In that short time, the venue has hosted 50 events, from a three-hour iPhone photography class that was followed by a round of beers, to ordinary yoga. The experiment has represented a massive investment. While it’s too early to call the clubhouse a success, there are some signs that the concept is starting to pay off. And if LivingSocial can replicate the venue across other cities, it could be able to distance itself not only from the stigma of the daily deals business, but also from Groupon, which despite being the category leader, has struggled as a public company. In a presentation to the media earlier this month, LivingSocial’s co-founder and CEO Tim O’Shaughnessy said he wants LivingSocial to be to local commerce what Amazon is to online retailing and what Google is to search. It’s still early days for 918 F Street, but LivingSocial has produced dozens of events there, and thousands of events elsewhere. Packages have included zip-lining, wine tasting, beer festivals and small concert series. LivingSocial even once organized a summer camp for adults. Inside of 918 F Street, there’s a test kitchen for three dozen students, an art studio for painting classes and various empty rooms that can be set up for different events. A commercial kitchen allows chefs to host pop-up restaurants at the venue to try out new dishes or concepts — LivingSocial is there to fill the seats. Sometimes the concepts are juvenile, perhaps, but when you mix in alcohol, as they usually do, it’s hard not to compare the place to a virtual Club Med, or a YMCA on steroids. 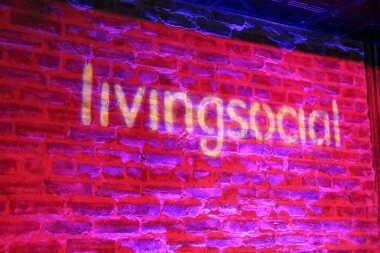 One benefit to producing its own events is that LivingSocial can solve one of the biggest problems in the daily deals space: Unique inventory. Too many providers are all selling the same stuff. By default, the F Street deals are all exclusives. For example, a recent event called “Sumo, Sake and Sushi” sold out in 40 minutes. Not only was it popular for consumers, but for merchants, too. The event was being used to help promote a new restaurant in town. “When you own the experience, you can produce something great for your membership, and then you have the opportunity to bring in sponsors,” said Doug Miller, who is in charge of new business initiatives at LivingSocial. So far, the approach is working. The company says that 25,000 people from the D.C. area have already attended events in the four months the building has been open, and that 83 percent of the merchants had never worked with the company before — including using daily deals. In research shared with AllThingsD, Yipit reports that the venue has generated roughly $1 million in gross billings since opening, and that the deals sold there were consistently double the gross billings of the average LivingSocial deal. Furthermore, the researcher found that 918 F Street’s gross billings per deal have grown steadily — from $18,000 in February to more than $22,000 in May — and perhaps most surprisingly, it already accounts for 10 percent of LivingSocial’s D.C. business (even though it hosts fewer than 10 deals per month in the building). O’Shaughnessy said the company is still fine-tuning the approach, but of the 50 different types of activities hosted at the venue, only two have not been profitable. Additionally, he noted that people who participated in events at 918 F Street became more valuable customers, because they were more likely to spend with LivingSocial afterward, whether it’s to return for another event or to buy more vouchers. The company was reluctant to say if — or when — it would bring the concept to other markets, but maybe it won’t have to. In May, LivingSocial announced a partnership with AEG, which owns and operates some of the most well-known venues across the U.S. Together, the two companies plan to co-produce events, by packaging regularly occurring events, like concerts or sports, with other activities or transportation. 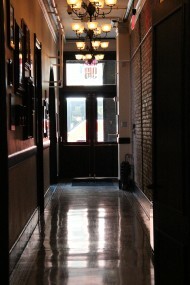 If LivingSocial decides to go it alone and build replicas of 918 F Street, it will need additional capital. As the second-largest daily deals provider in the U.S., LivingSocial has raised $600 million, and already has 5,000 employees. The company’s CFO, John Bax, said it does not need to raise more capital today, based on how it is currently configured. By becoming an entertainment and media brand, LivingSocial is distancing itself from the daily deals business, and from Groupon. This is true for one main reason: Most of the deals that LivingSocial produces and hosts at the venue or elsewhere are not daily deals in the traditional sense of offering half-off the price — that’s because they are full price. “Already it [full price] is a significant percentage of what we do. It will be a driver for a lot of what we do, but not the primary driver,” O’Shaughnessy said. 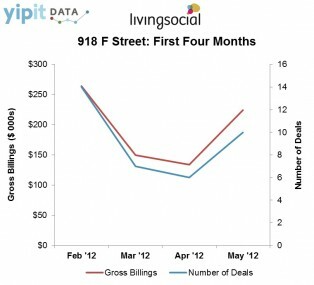 But LivingSocial is not just drifting away from Groupon. 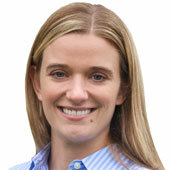 Groupon is also finding its own way in determining the future of the daily deals business. While LivingSocial focuses on producing and curating events, Groupon is determined to become a technology company by building software, such as online calendar tools and payment technologies aimed at the local merchant. LivingSocial says it also has plans to test out at least three concepts in the payments and loyalty space this summer, but it is not as interested in developing any hardware, and does not want to compete directly with payment processors. With the two different approaches to the market, it’s anyone’s guess what the daily deals market will look like in three to five years. Values aren’t just for idealists — they matter. If a company’s practices make you uncomfortable, pay attention to your instincts and be true to them.